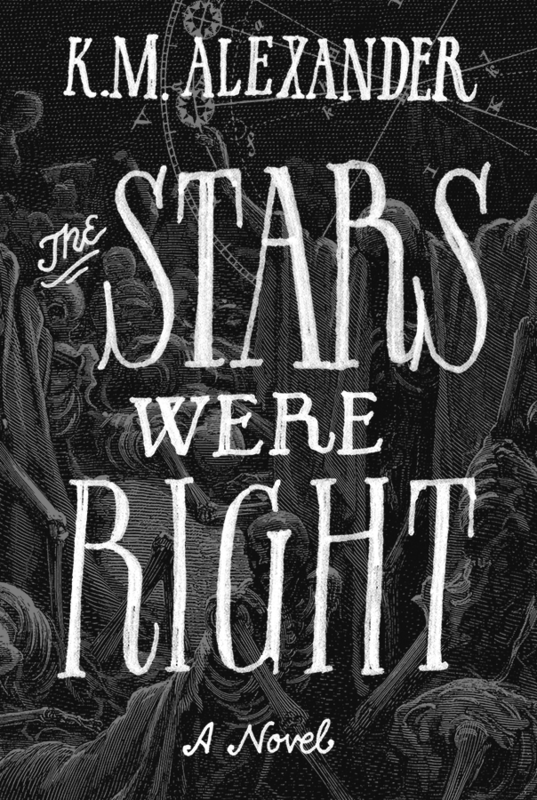 “The Stars Were Right” Cover Revealed! As promised here it is: the final cover design for The Stars Were Right! The 1866 etching that serves as the background is “The Vision of the Valley of Dry Bones” by Gustave Dore. The amazing hand lettering was created by master hand-letterer and illustrator Jon Contino. In the end it was Jon’s work that really locked everything together. Thank you Jon, seriously. The Stars Were Right is due out later this year and will be available on most if not all ereader devices. (Actual printed version coming soon after.) Let me know what you think of the cover in the comments! Thank you! Glad you like it. I’m really proud of it and I think Jon really nailed the tone in the lettering. Absolutely fabulous typography! And the background works just right for it. Thank you very much! Really excited about it. Jon did an such an excellent job with the type. Captures the tone I wanted perfectly.